Internship auditions are being held for a 4 or 6-week summer performing arts program. 5 Internships & 2 Assistantships available for O'ahu high school to pre-college students. 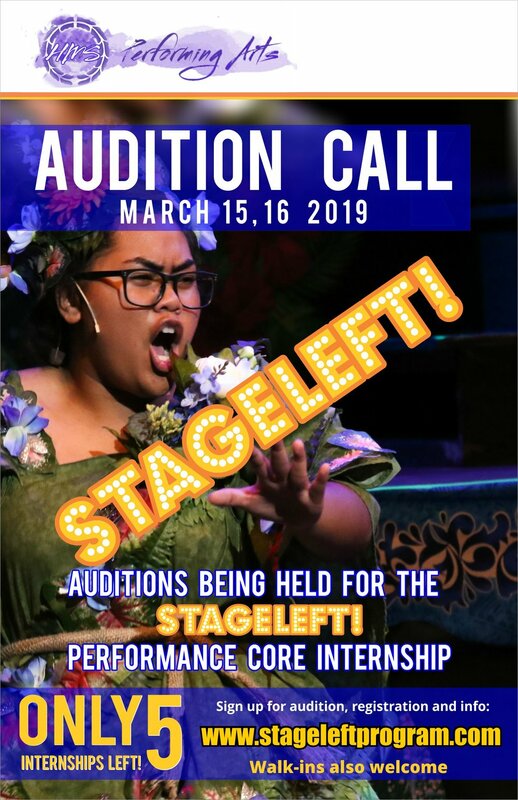 Includes: weekly travel/food stipend, waived tuition, summer school credit, perform at the beautiful Paliku Theater, and more! This is an amazing opportunity to train, learn, and perform this summer! For more information or to signup please visit: www.stageleftprogram.com. New 2019 Ohana Arts Summer Offerings!